Frank was proud of being in the Engineers, he enjoyed the hard work and what they achieved at Lemnos prior to the landing at Gallipoli. 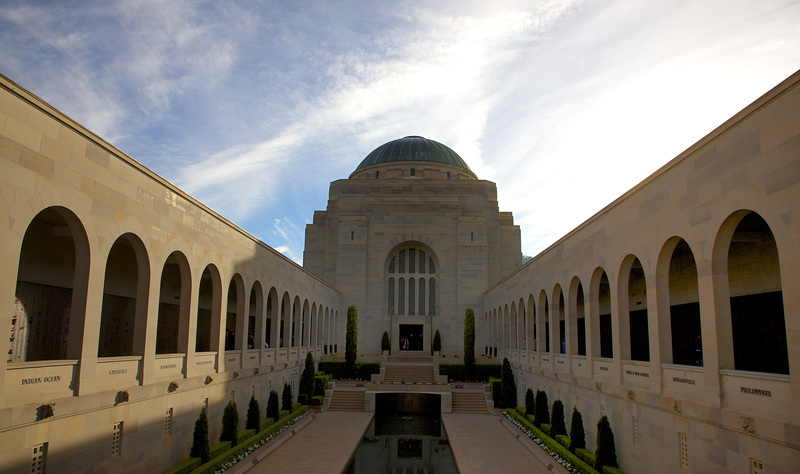 He was particularly proud of being the first and among the only representatives from New South Wales to land with the dawn party and rush the hills at Gallipoli. On the 12th July 1915,112 Spr Francis Leslie Wells was killed in Action by a bomb blast to his neck and chest. He is buried at Shrapnel Valley Cemetery (Plot I, Row C, Grave 30), Gallipoli, Turkey. 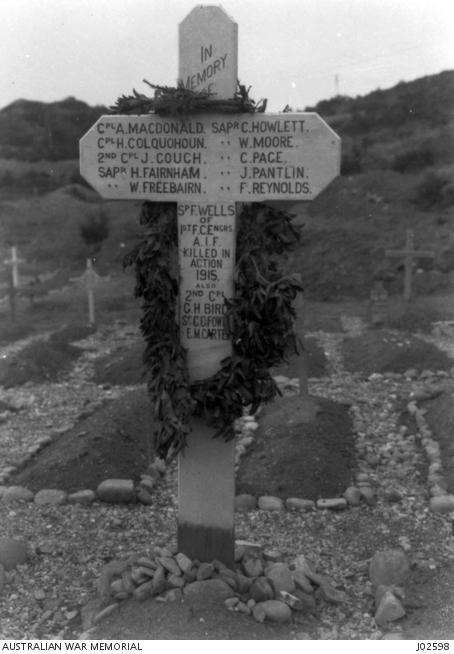 His name is also on the famous memorial cross on the image below. Sadly the image of the letter above to Frank’s mother is typical of the details that families received when they lost their son or sons. Usually a brief letter informing them of his death and perhaps the circumstances and location, and his plot, row and grave number and the promise of some photos of the site and the prospect of their personal effects if they were recovered . Shrapnel Valley Cemetery (Plot I, Row C, Grave 30), Gallipoli, Turkey. The many tributes and family notices published in the Sydney Morning Herald show how popular Francis Wells was. dearly beloved cousin of Marjorie and Harold Hutchinson, aged 22. 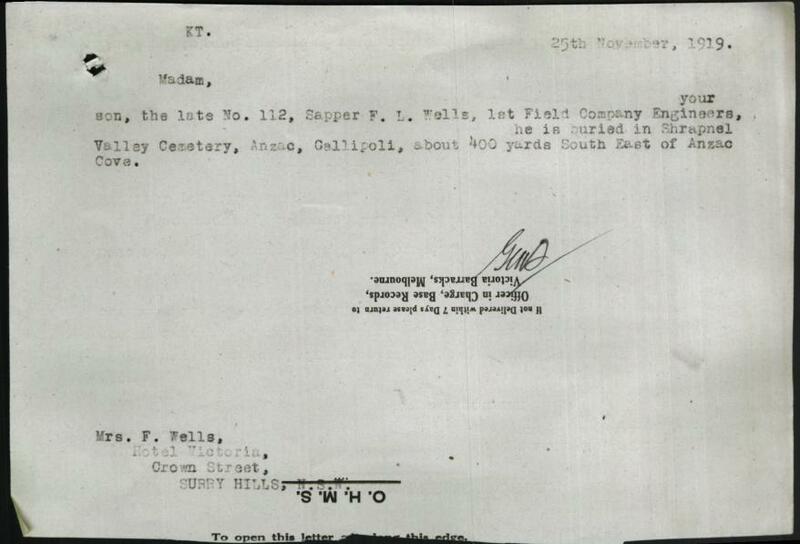 WELLS.-Sapper Frank L. Wells (1st Field Coy.Engineers), who nobly died at the Dardanelles July12. A noble end to a noble life. Inserted by his Loving friend, Lorna Downs. WELLS.-Sapper. F.L. 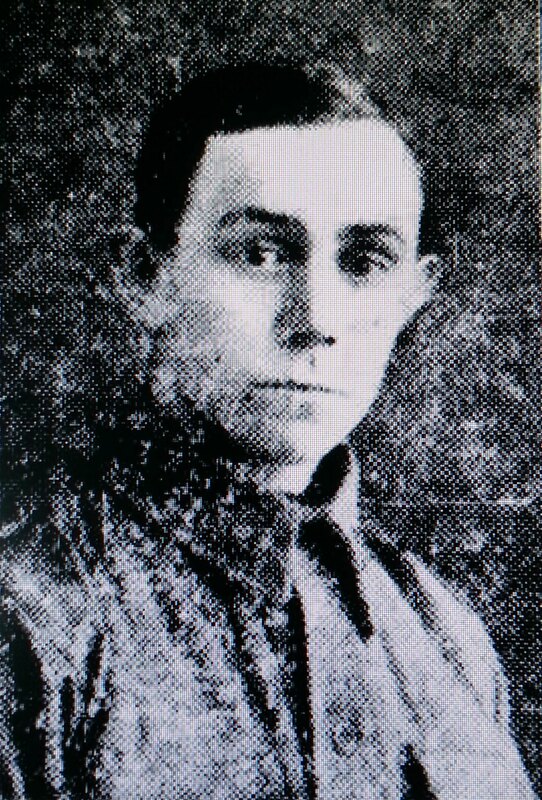 Wells, 1st Engineers, killed In Action, Dardanelles, July 12, 1915. Inserted by his club mates, Clovelly Life-saving Club. He died bravely, like a life-saver should. Frank L Wells First Field Company of Engineers. Inserted by the Clio Tennis Club, Maroubra. dearly beloved nephew of A.H, J.W, F.J and A J F Liddy, and Mrs McDonald, ages 22. WELLS.-In loving memory of of our darling Frank, who was killed in action at the Dardanelles on July 12 1915. WELLS.- In loving memory of my dear cousin and chum, Frank L. Wells killed in action at the Dardanelles on July 12 1915. Inserted by his fondest chum H. (Gus) Head. of Frank Leslie Wells killed in action at the Dardanelles July 12 1915. One of Australia s best. 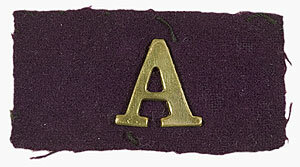 Inserted by his old chum and friends Reg and Mr and Mrs Tom Thornton. 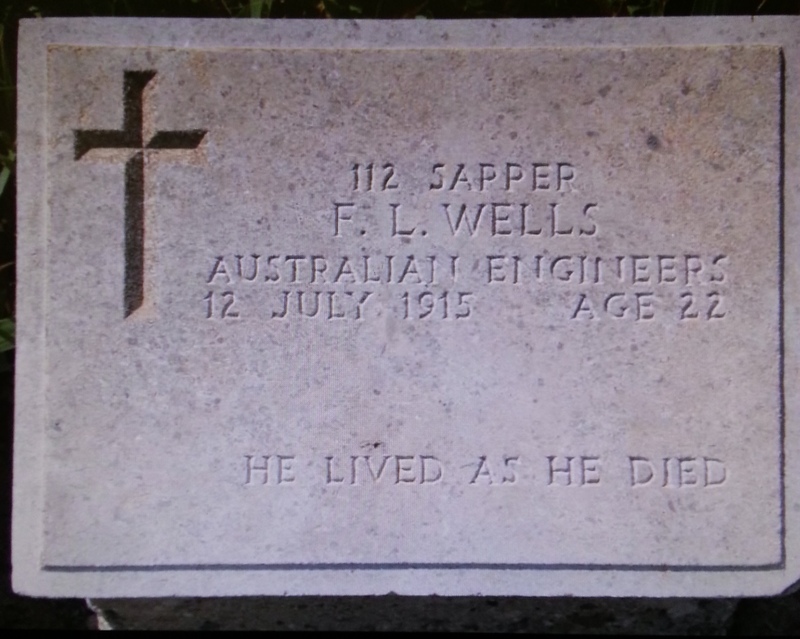 WELLS.- In memory of Sapper Frank Wells 1st Field Company Engineers killed in action at Gallipoli July 12, 1915.